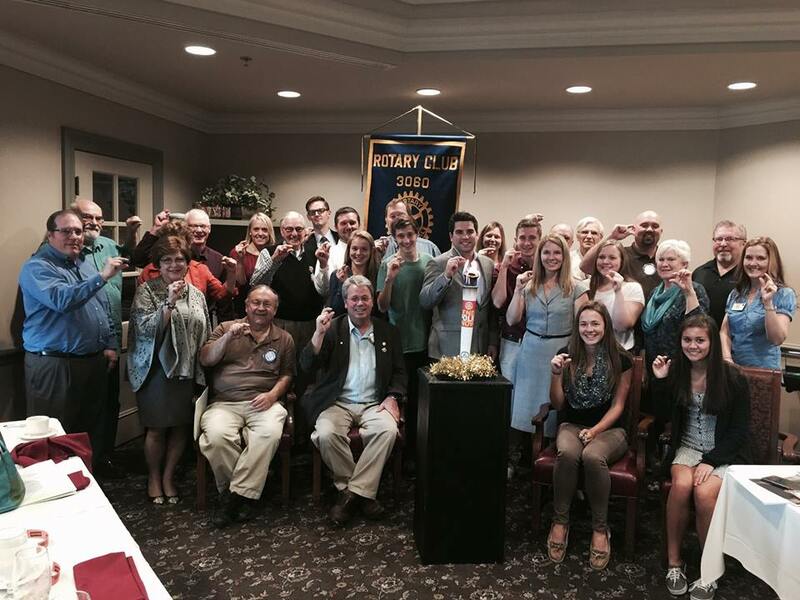 The End Polio Now Rotary Flame made its way to Saline Rotary on November 5, 2015. Rotarians and Interact Club Members from Saline High School give the sign that we are "this close to eradicating polio around the world"
The flame was launched in Chennai, India, in December to celebrate India being polio-free and commemorate the 30th anniversary of PolioPlus. The torch has made its way through Colombo, Karachi, Kabul, Sydney, Taipei, Manila, London, Lagos, Toronto, Sao Paolo and Rotary's headquarters in Evanston IL. It has been in the Ann Arbor area since October 1.